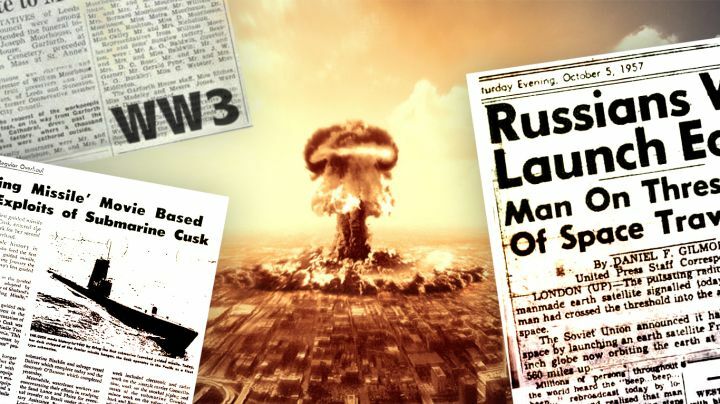 Home » World War 3 Predicted For 2015…By A Time Traveler? World War 3 Predicted For 2015…By A Time Traveler? On the 2nd of November in the year 2000, a user by the name of ‘TimeTravel_0′ on the ‘Time Travel Institute Forums‘ began a thread that stated he was from the year 2036 and began answering users questions. The user later revealed his real name to be John Titor as we know him today. In his postings (2000 November) he states that he’s an American Soldior from the year 2036 based in Tampa in Hillsborough Country, Florida who was assigned to an under cover secret government project to return to the year 1975 where he retrieved an IBM 5100 and then stopped off at the year 2000 for personal reasons (collecting books and personal photographs). The IMB 5100 computer that was being retrieved was needed to debug the ‘UNIX year 2038‘ problem similar the the ‘Y2K or the Year 2000 Problem‘. He talks about how an American civil war from 2005-2015 will take place and end with Russia firing nuclear weapons onto America and the rest of the world starting world war 3. The short but intense world war 3 kills 3 billion people and splits America into 5 districts each with it’s own president. He describes that everybody is a lot friendlier to each other and many jobs revolve around manual labor and farm work. Everybody in each town works together and if you’d like to join somebody else’s group (2000-3000 population per group) you’d have to apply to join and bring something to the table. He explains that his generations despises and frowns upon the lazy and ungrateful society of the 2000’s. He talks about how health care has also fallen down hill but technology had arisen. He goes into heavy detail about how his time travel devise works and says that he does not change history in the way that we think time travel would. When users asked for proof of his existence by predicting major events he simply told them he does not care if they believe him or not. He continued writing posts on multiple forums answering thousands of questions from eager and skeptical users. He also talks about how that upon his return his family will have noticed no time passing even though he’s spent a couple years on our ‘worldline’. He described how every second in time is a whole new ‘worldline’ or parallel world meaning if he does change something then it won’t change anything in his ‘world line’. There were many fan websites that were created that still run today and even a JohnTitor.com that has collected every single post he’s ever published in order that you can read through if you’ve got the time (I did). A book and a few documentaries were created inspired by the ‘John Titor theory‘ which all go into heavy detail about the topic. If John Titor is right then we are only a year or two away from a short but intense war that will devastate our world. There have been many people attempting to debunk the conspiracy and some people even believe that it was created to profit of the ad revenue from JohnTitor.com. Many people still believe in John Titor today and many people are counting down the days until World War Three. Leave your comments below! What do you think of the ‘John Titor theory’? Is he real?